Hartford Financial Services (HIG.N), the fourth biggest U.S. insurer, said on Friday it was closing most of its operations in Britain, Ireland and Germany as part of a pullback from Europe. The majority of the company's approximately 380 employees in Europe are likely to lose their jobs, people familiar with the matter said. The company said there would be job cuts but declined to give a figure. Hartford said in its first-quarter results issued late on Thursday that it was suspending selling new policies in Britain and Japan. The group posted a first-quarter net loss of $1.2 billion, compared with earnings of $145 million in first quarter 2008. The insurer's problems stem from its exposure to the U.S. variable annuities market. It has been battered by investment losses and higher costs from guarantees on these retirement products, which are linked to stock market performance. The European subsidiary, Hartford Life Limited, which was set up in 2005, has more than 18,000 policies in force and 1.2 billion pounds ($1.8 billion) of assets under management. The company said on Friday that it would maintain its Dublin-based service operation to serve existing policy holders. 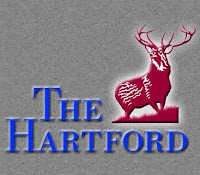 Hartford said it would not launch any retirement products in Germany and would closed the sales and marketing office that was preparing to open in Frankfurt. Germany's Allianz (ALVG.DE) has a stake in Hartford after investing $2.5 billion in the group in October. Hartford provides financial services to more than 7 million customers, employed 30,000 staff and had over 239 billion pounds of assets under management as at the end of last year.